Slides, notes, and links for the talk “The Well-Equipped Remote Worker” delivered on March 5th at the Daycamp 4 Developers 2 virtual conference. 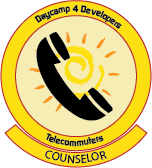 On March 5, 2011 I had the great pleasure of delivering a talk entitled “The Well-Equipped Remote Worker” at the Day Camp 4 Developers 2 virtual conference. I’d like to thank Cal Evans, all the other organizers and speakers, and especially the attendees for making the conference possible.I really enjoyed participating, loved the IRC chat, and got a lot of good advice from the other speakers’ talks. As promised, here are slides, notes and links to more information. But first, if you attended the talk, I would greatly appreciate it if you would rate it on SpeakerRate. Thanks! Plantronics .Audio 995 Wireless Stereo Headset . A great headset that I use every day. (Note: this is an affiliate link; if you buy through it I’ll get a buck or two). How to create a virtual story wall in Google Docs. Google Talk is becoming a viable alternative to Skype for one-to-one discussions. Adobe Connect is a full-featured remote conferencing suite. Fuze Meeting is an up-and-coming competitor. Campfire: dirt-simple team chat rooms. Presently and Yammer are both team-oriented Twitter-like tools for presence, status, and discussion. Flowdock is an interesting hybrid of the Campfire and Presently/Yammer approaches. Google Groups is a handy way to set up a team mailing list. For screen sharing: Yuuguu, Yugma, and TeamViewer. Google Docs for document collaboration. 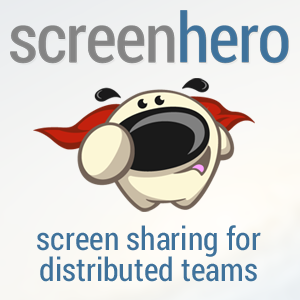 Posterous makes it fairly easy ot set up a team blog, either public or private. David J. Bland is an agile coach and a speaker on distributed team management who blogs at Scrumology. I drew several points from his excellent “Distributed ScrumMasters” talk. Derek Wade, with whom I did an interview a few months back, has some great insights into distributed work, and inspired some of the slides in this talk. WebWorkerDaily is a great resource for tools and practices relevant to remote workers. So is the Workshifting blog. Check out the Shane & Peter’s team lifestyle blog.